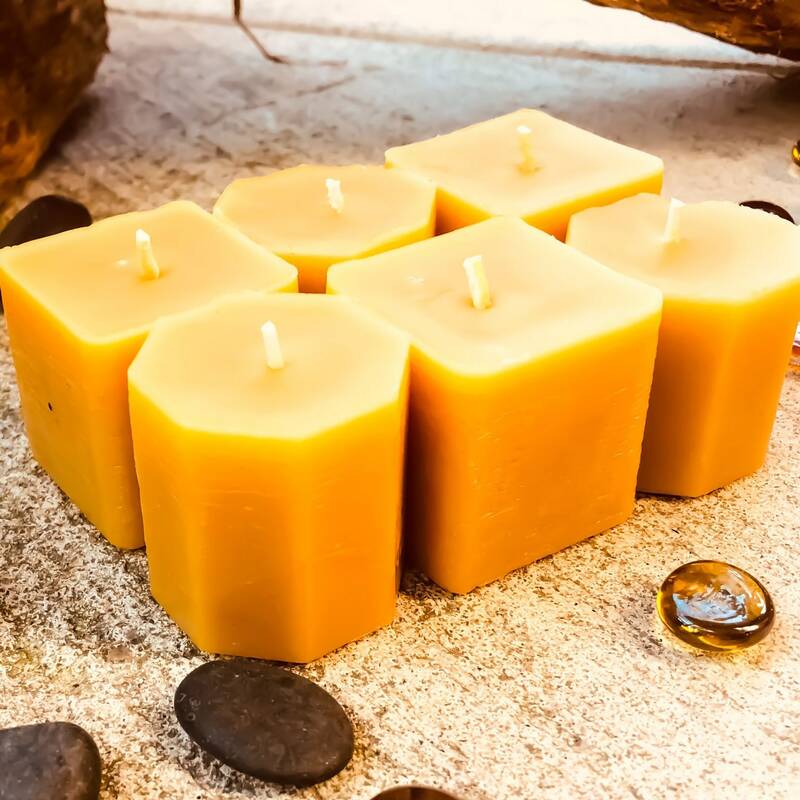 A very unique set of 6 100z Pure Beeswax votive candles. They are 1.75”x 1.75”. 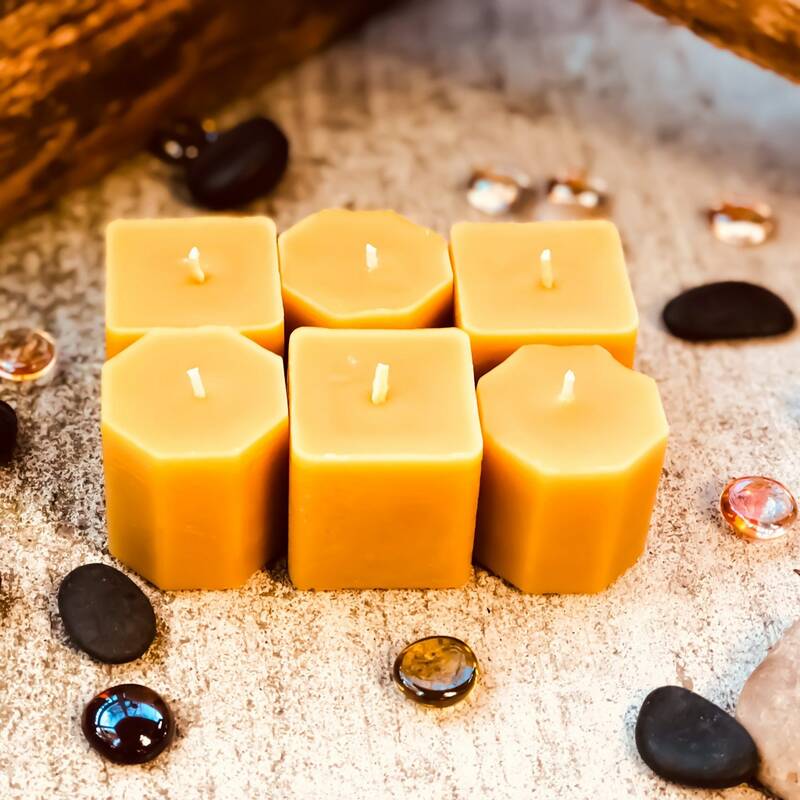 Your options are all squares or all octagons or a combination of the two. 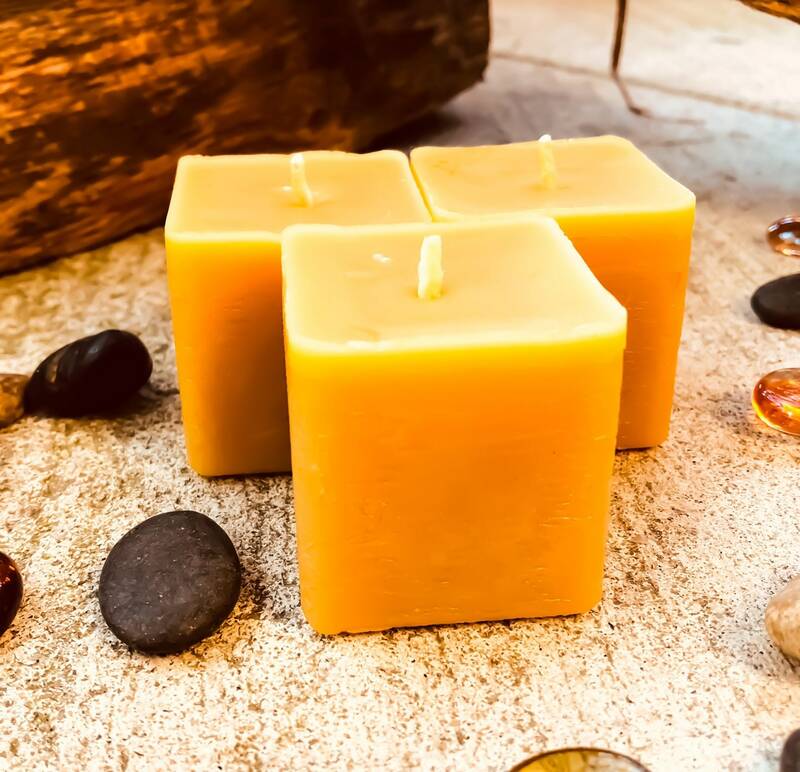 They are unscented other than the natural honey smell from the beeswax. 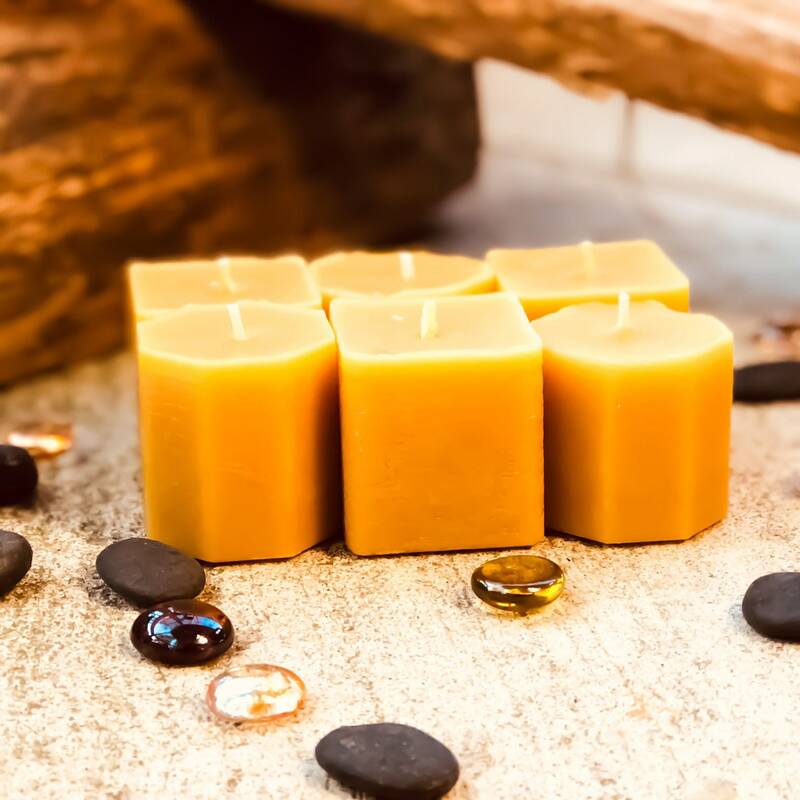 Most candles don’t actually freshen or deodorize anything, they just mask smells with chemicals stronger and dangerous to our health. 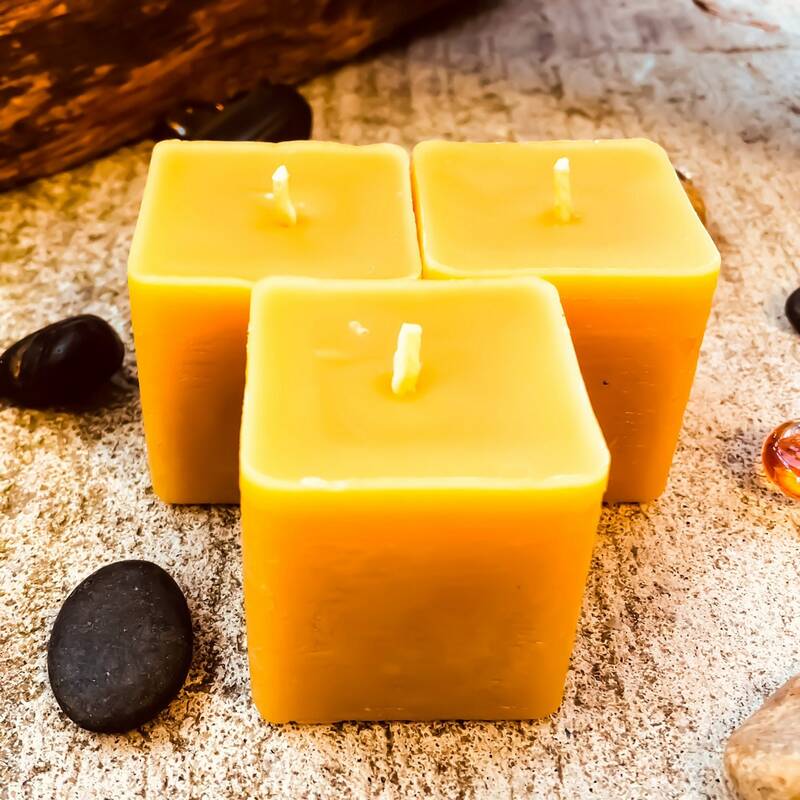 Beeswax is a safe alternative to most candle wax, which can be harmful to your health because of petroleum, stearic acid, or synthetic oils. 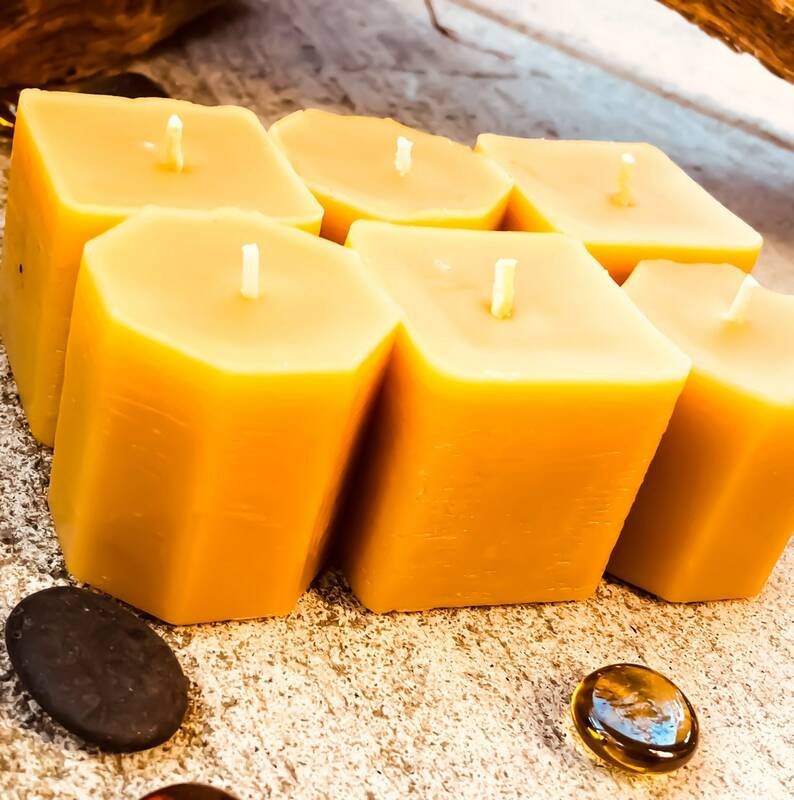 Beeswax candles bring a homey glow to any room and brighten up a space instantly. 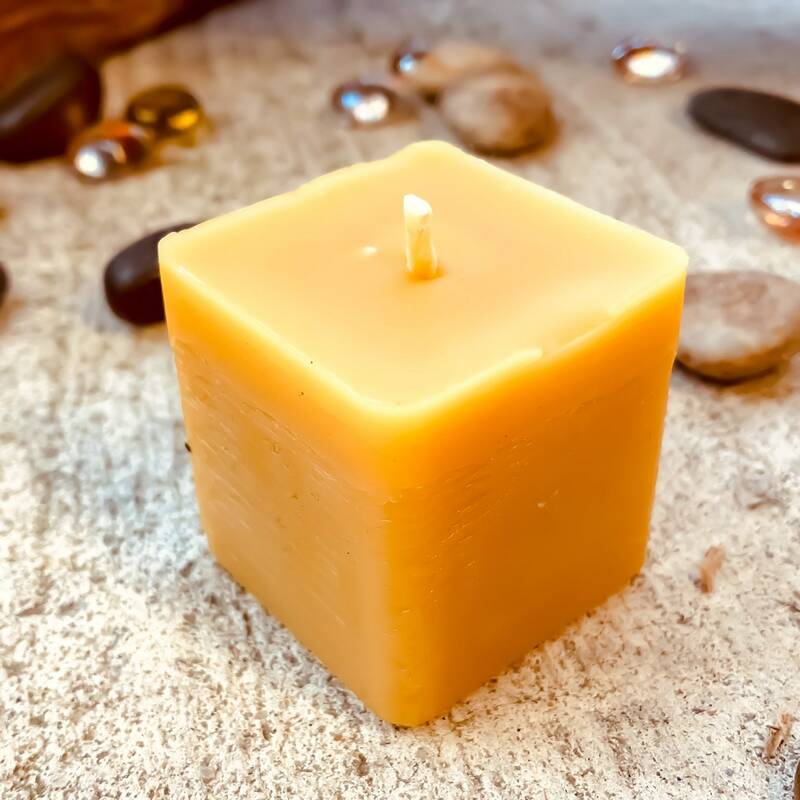 Light wick at base to melt wax before removing flame. 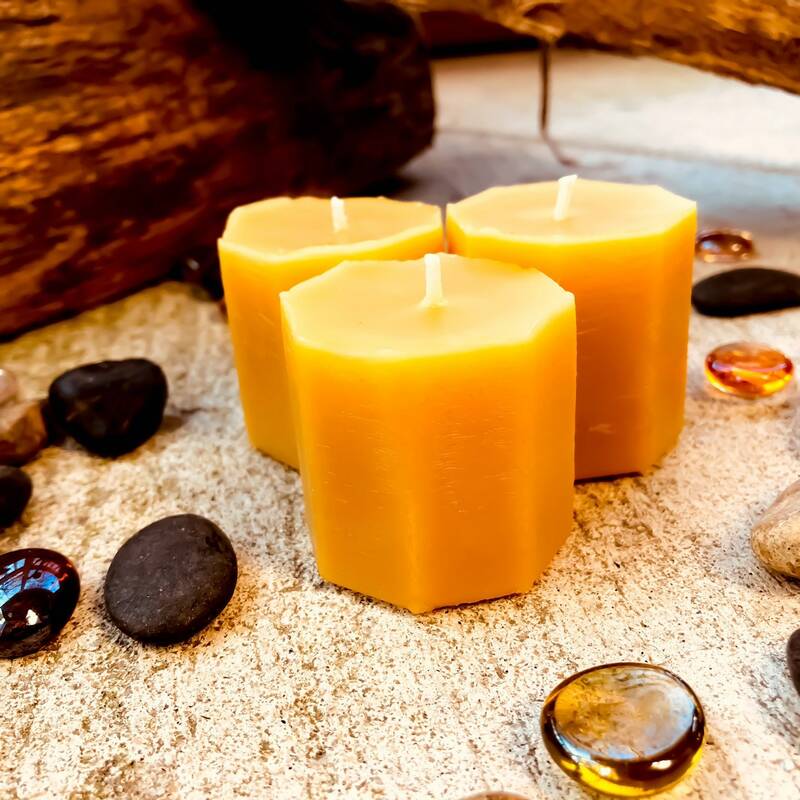 Extinguish the wick by pressing it into the melted wax to coat it for the next lighting. 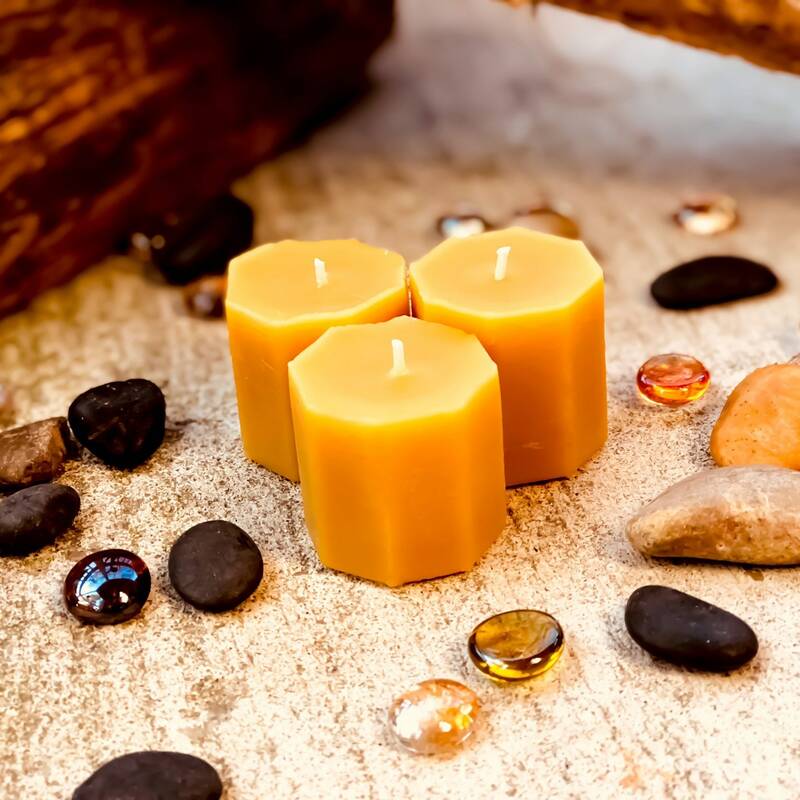 When putting out the flame simply dip the wick into the pool of wax to extinguish. 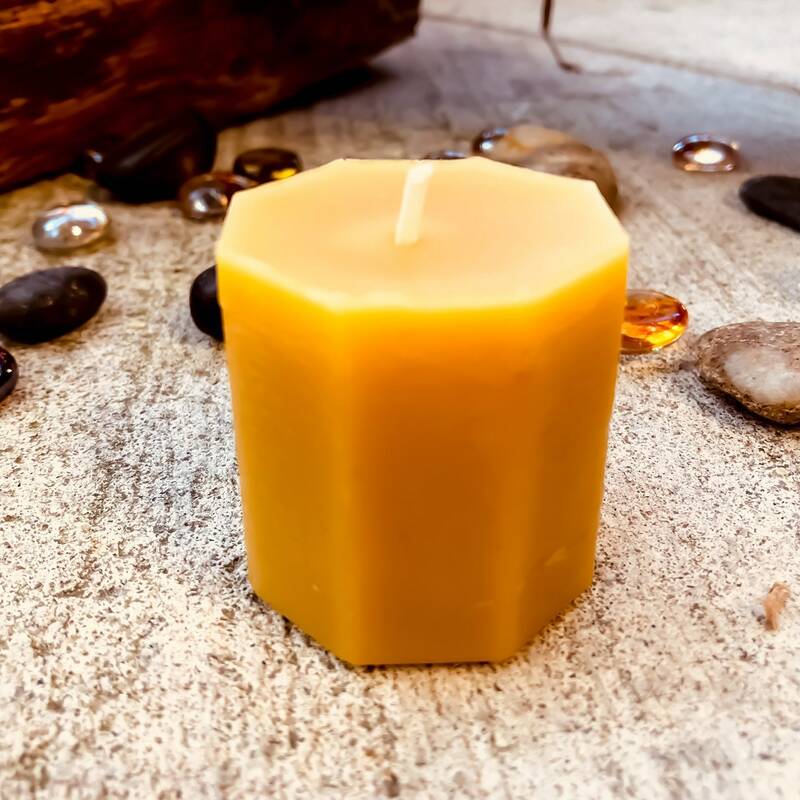 This coats the wick with wax and aids in lighting the candle for next time.